Almost 400 years after the Dutch tulip craze drove prices of some flowers to ridiculous heights, legions of U.S. poultry fanciers are now obsessing over another unusual breeding product: a chicken called the Ayam Cemani. The bird is inky black from the tip of its comb to the end of its claws, with blue-black skin, jet-black eyes, and a black tongue. It is covered in shimmering metallic black feathers, and even its internal organs are black. 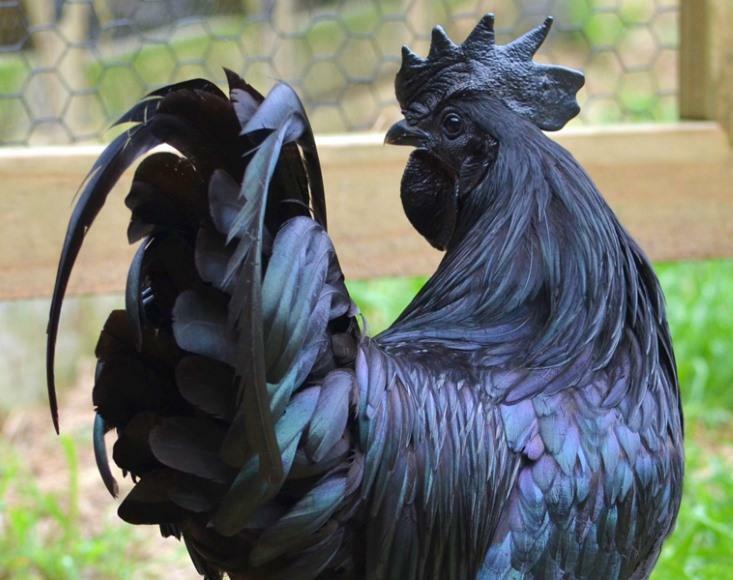 It is one Goth chicken.